CINCINNATI, CLEVELAND, NEW YORK, SEATTLE, August 18, 2015 – SaaS Capital, the pioneer provider of debt-based growth capital for SaaS companies, today announced that it has provided a $2 million line of credit to StreamLink Software, the leading board and grant management software-as-a-service technology provider. The $2 million line is in addition to the company’s $5 million equity round. StreamLink Software is the premiere provider of web-based grant management software and board management software. Their products, AmpliFund and BoardMax, are designed to combine the many disconnected tools that grant and board managers need into single, easy-to-use solutions. StreamLink enables nonprofit and public sector institutions to maximize the value of every dollar in order to better serve their communities. The company’s equity investors include North Coast Venture Fund, North Coast Angel Fund, Blu Venture Investors, NextSparc, Hyde Park Angels and Hyde Park Venture Fund. Founded in 2008, StreamLink Software designs, develops and markets leading-edge process management tools for nonprofit and public sector institutions. The company’s flagship grant management solution, AmpliFund, captures grant information as data and automates hundreds of complex activities throughout the grant lifecycle. Its board management portal, BoardMax, helps organizations engage and communicate with board members. Both products are high-value, affordable software solutions, designed to help nonprofit and public sector entities maintain compliance, generate revenue and build capacity. Visit www.streamlinksoftware.com to learn more. 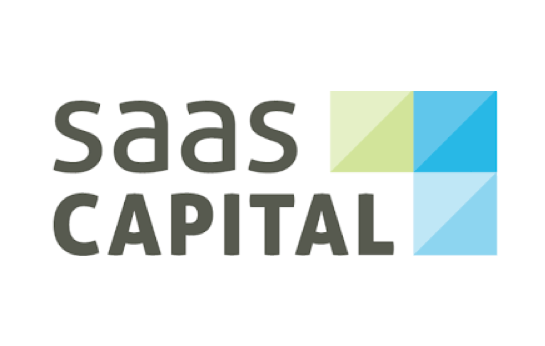 SaaS Capital allows companies to use debt instead of equity to fund investments in sales, marketing, and new product development. SaaS Capital’s line of credit approach combines more availability and longer terms, with more flexible drawdown and repayment, versus other lenders in the market. Through its partnership with DH Capital, SaaS Capital can also assist with a variety of M&A and capital raising advisory services. Visit www.saas-capital.com to learn more.